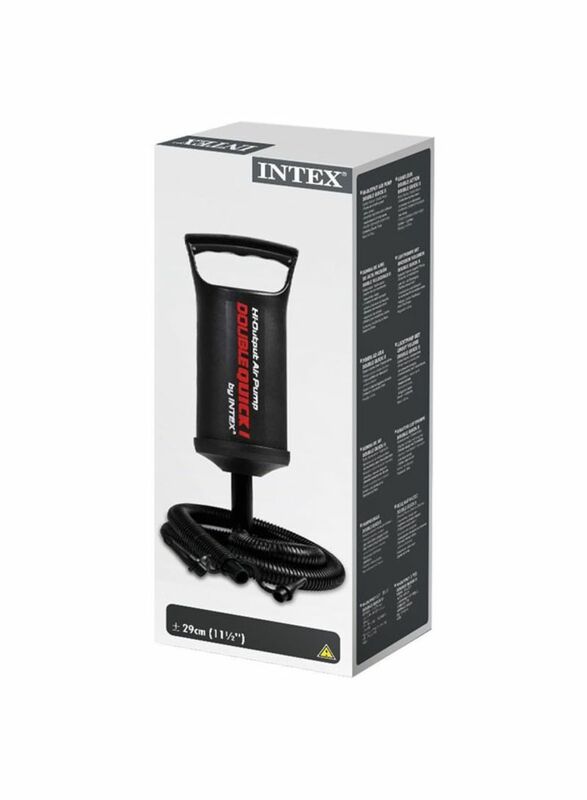 INTeX Double Quick-I Hand Pump. 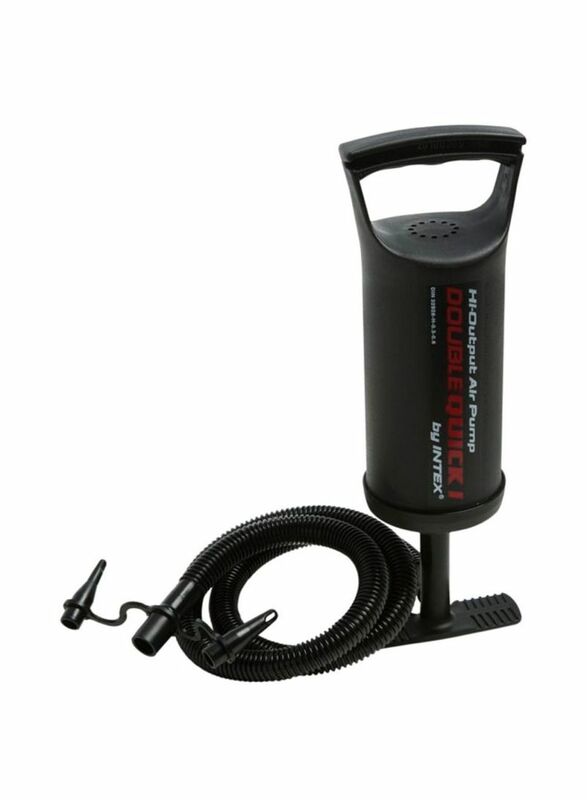 Great for airbeds or other large inflatables, the simple to use Double Quick I Hand Pump is the perfect accessory for inflating and deflating with ease. Designed to pump air on both up and down strokes, this double action pump maximizes airflow, making inflating fast and simple. This hand pump includes 3 interconnecting nozzles with hoses to inflate or deflate different types of inflatables.